A popular modern day classic - will wake up even the sleepiest drinker! Pour all the ingredients into a boston shaker filled with ice. Shake vigerously and double strain into a martini glass. 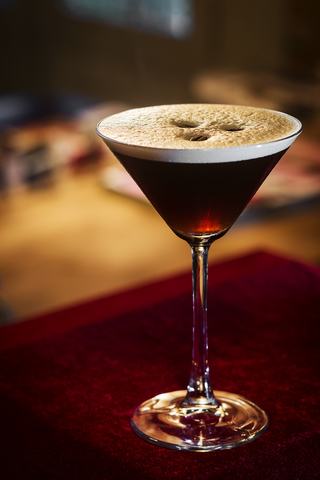 Garnish with Coffee beans – simple! Sometimes the simple ones are the best!